Congratulations on you new devotional books! Our books are a wonderful companion for believers, an entire kit devoted to your quiet times. 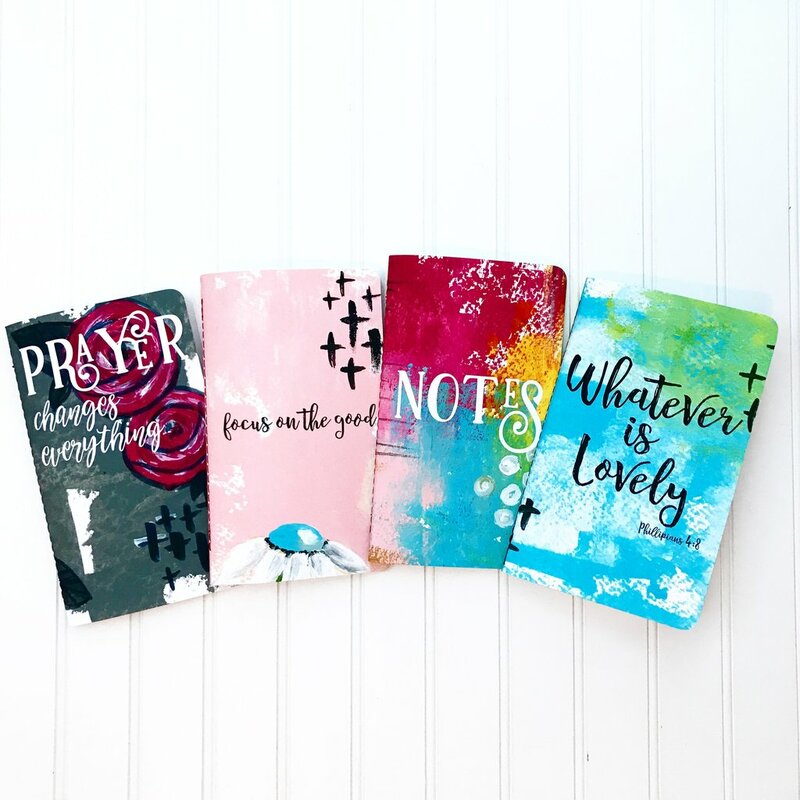 The kit includes four books, your prayer journal, scripture journal, your gratitude journal and your notes journal. I’ve put these together because it’s everything I needed to encourage me in my spiritual life and I have all in one place. Below I’ve provided guidance on how to use each one. You can use this in any way you feel most comfortable, put for me this is where I write down my prayers for my family, children and friends, or anyone you feel needs the power of your prayer. This is a place to harness all of God’s promises. I write down specific scriptures that relate to God’s promises. For example I find verses on healing, prosperity, abundance, favor, protection, etc. It makes it simple and easy to go back and meditate on particular scriptures for your life. A gratitude journal seems pretty straight forward, but I use mine to not only write down daily what I’m grateful for, but I write down my gratitude for the blessings to come. I praise and worship God for his promises not yet fulfilled. This is simply a place to write down notes during your quiet time. I listen to sermons on YouTube and write down notes of what I’m learning and reference if I need to go back to what I learned. For more questions, visit our FAQs page. As you continue your spiritual journey with the help of our kits, be sure to give me a shout out and tag me on social media with what you’re learning and how you’re growing. I’ll be sure to read it and cheer you on. Welcome to the Planner Perfect Family!